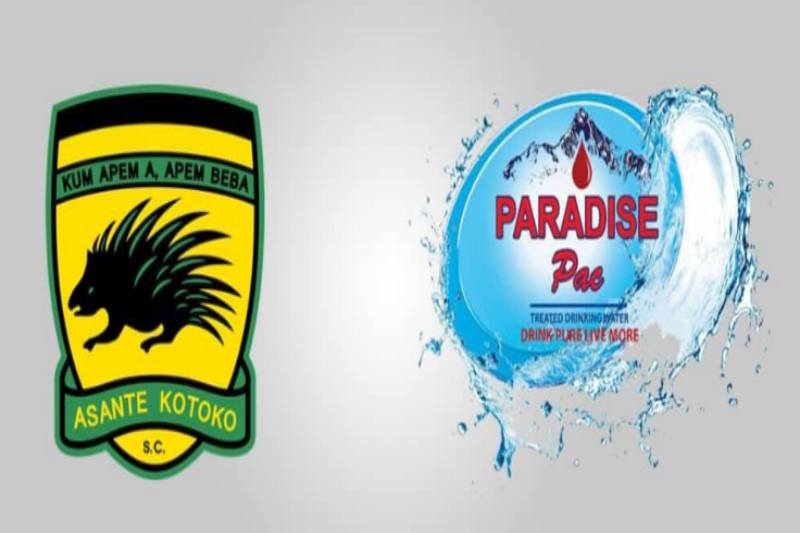 Asante Kotoko football club have completed their second major deal of the summer in a couple of weeks after successfully renewing their deal with telecommunication giants, MTN - a two-year agreement and signing with Paradise Pac Drinking Water has been unveiled. The Porcupine Warriors are having one of their best preseason seasons in recent years on the pitch with the appointment of C. K. Akonnor as the head coach and series of friendly games. There has been a massive shakeup at the management level. Now they have turned their attention to branding and marketing, we must recommend them for the bold initiative and splendid work done so far. The short unveiling ceremony which took place at the at the Sports Hotel on Wednesday saw in attendance the captain of the senior national team and President of Paradise Pac Asamoah Gyan as well as General Manager of the company Anim Addo with Kotoko represented by Club’s General Manager Isaac Amoako and other officials of the Reds. No details of the financial aspect of the sponsorship were made to the public but it is believed to be mouthwatering one for the club.